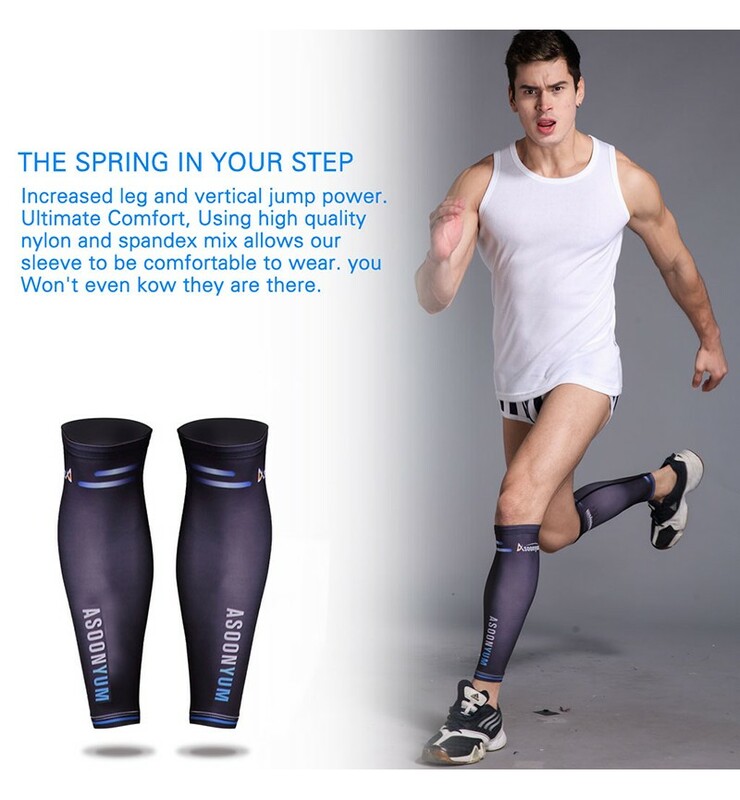 FASHIONABLE & HEALTH CARE: Soft and premium Lycra material + the beautiful design of the sleeve in blue, black & white makes you look fashionable anywhere anytime. 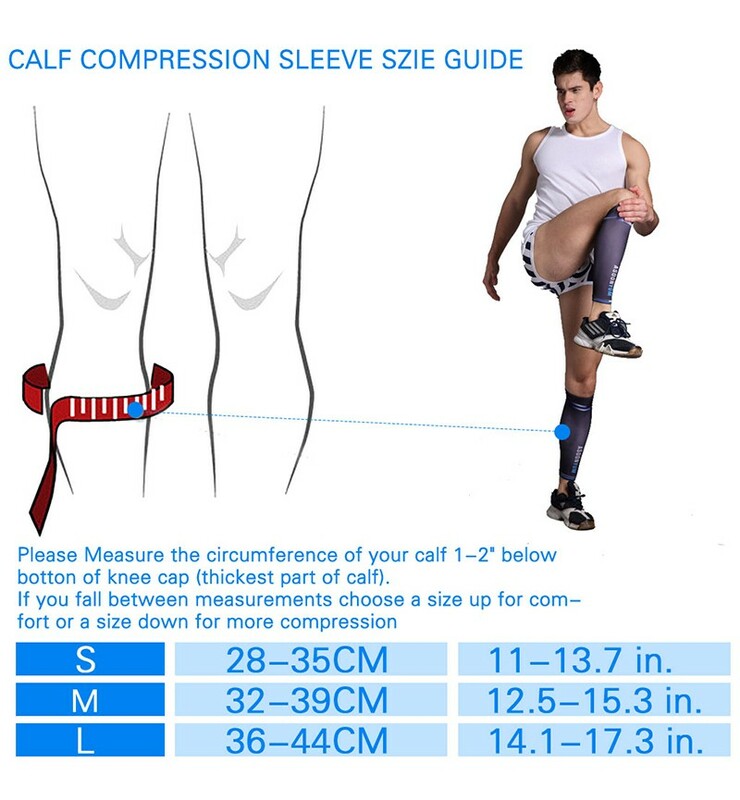 Super elastic fabric provide leg compression 20-30mmHg, best for shin splints and reduce lots of common inflammation injuries, lymphedema, varicose veins, lactic acid build up. 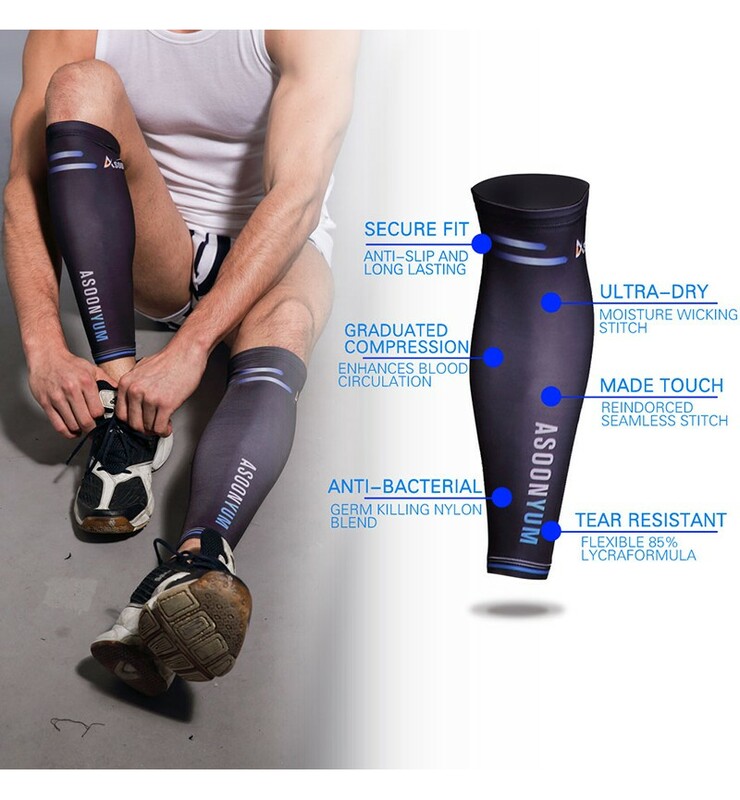 WARMTH & QUICK-DRY: The Graduated compression wraps your calf and keep warm. 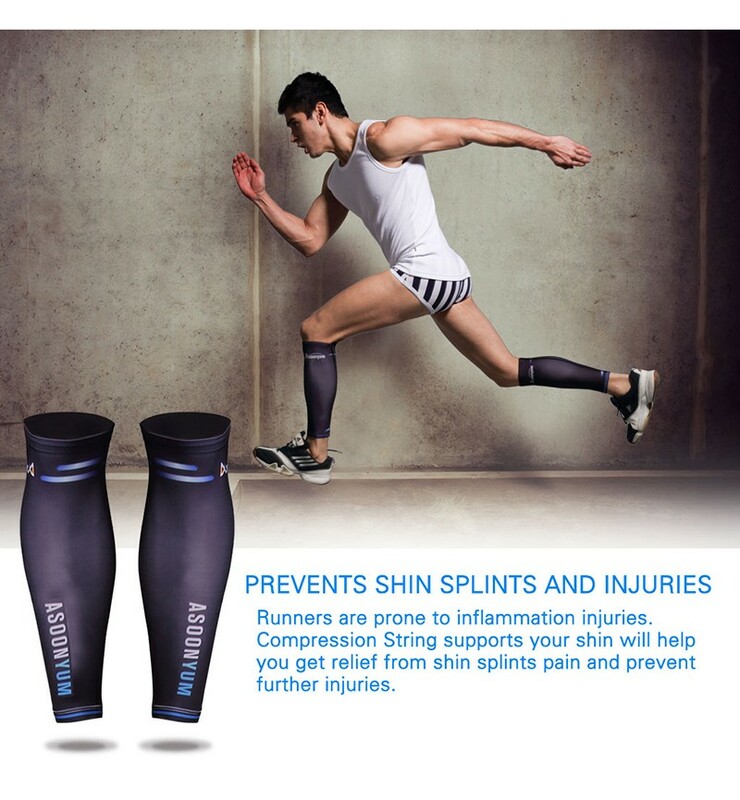 As we know the warm muscle is less likely to be injured, helps to blood circulating and relief of medical blood clots after surgery. 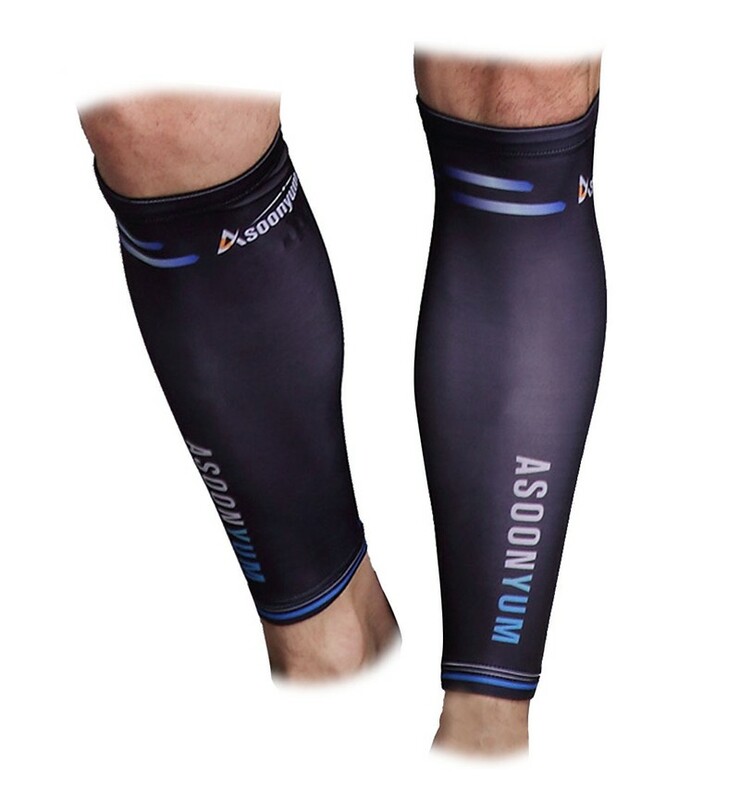 Comfortable base layer breathable light material with rapidly air dry features beneficial. 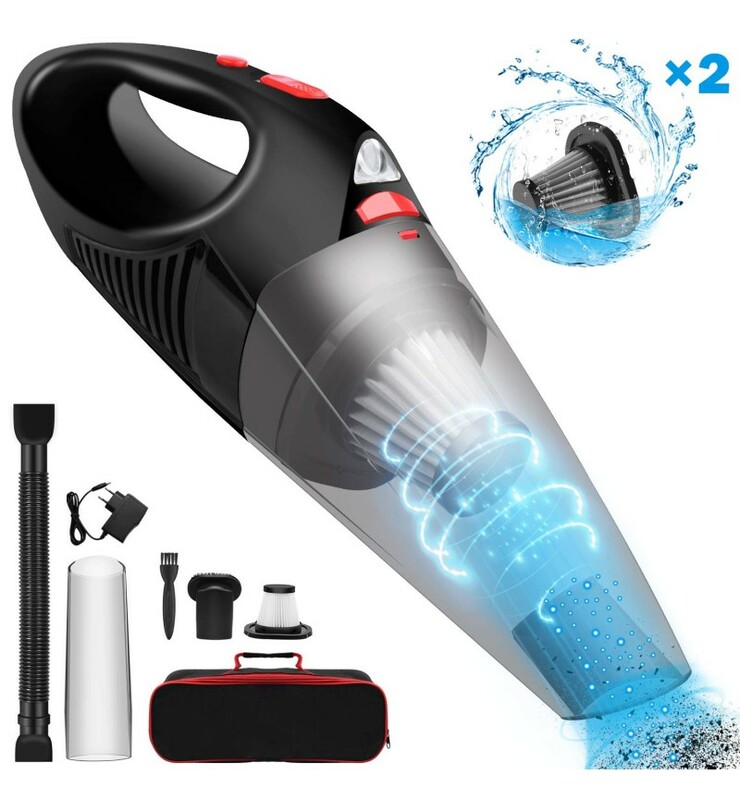 Ideal for climbing mountain, running basketball, football, ski, football, cycling, travel, workout, deadlift and bicycle bike active in winter, spring, autumn, summer. 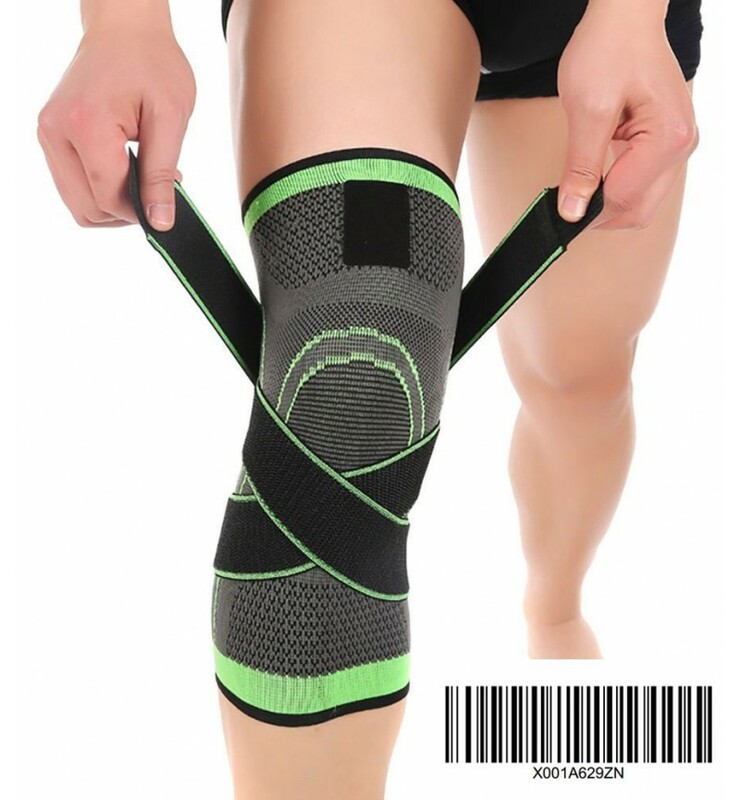 ANTI-SLIP & WASHABLE: Asoonyum sleeve built-in silicone tape ensuring stay on your calves and avoid that unwanted pain as well as muscle cramps while you travel, work, or play. 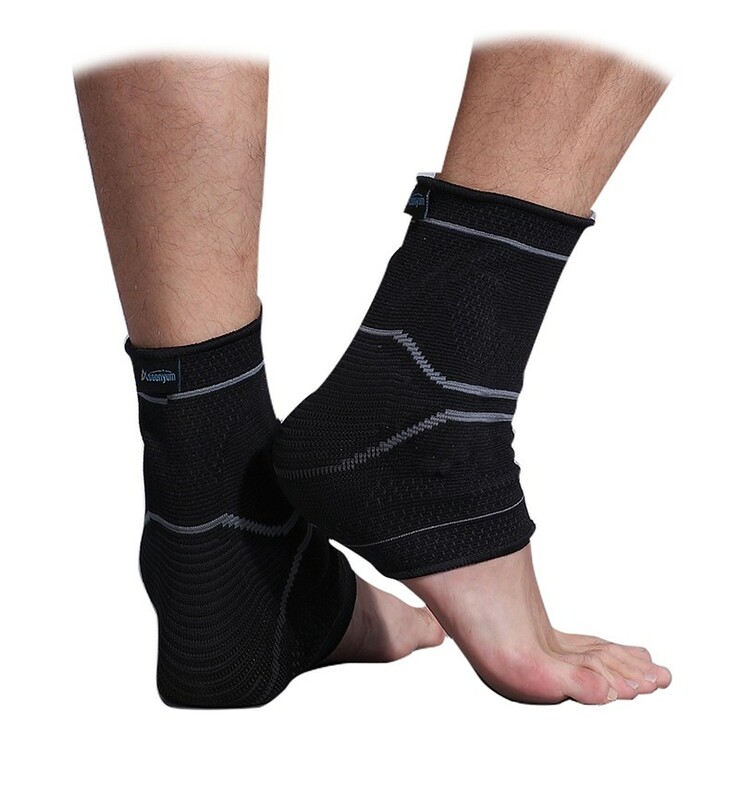 Washable designed with quality nylon spandex blended fabric built for durability. SIZE & TARGET: Unique structure design and painstakingly measured to ensure an exact. 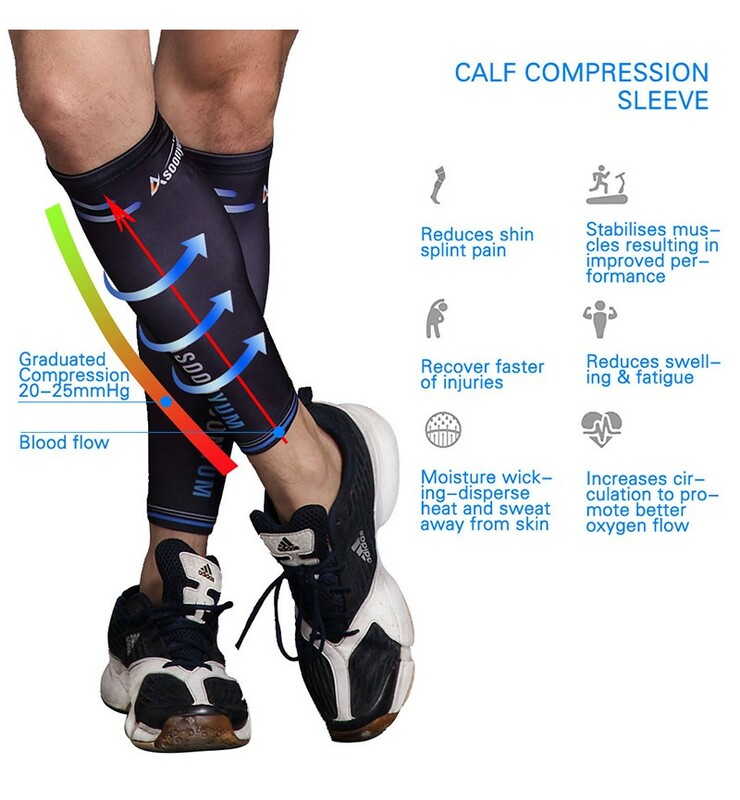 they fit just right on your calf, not too tight, and provide the same relief as kinesiology tape without the worry of getting "taped up" by a trainer. 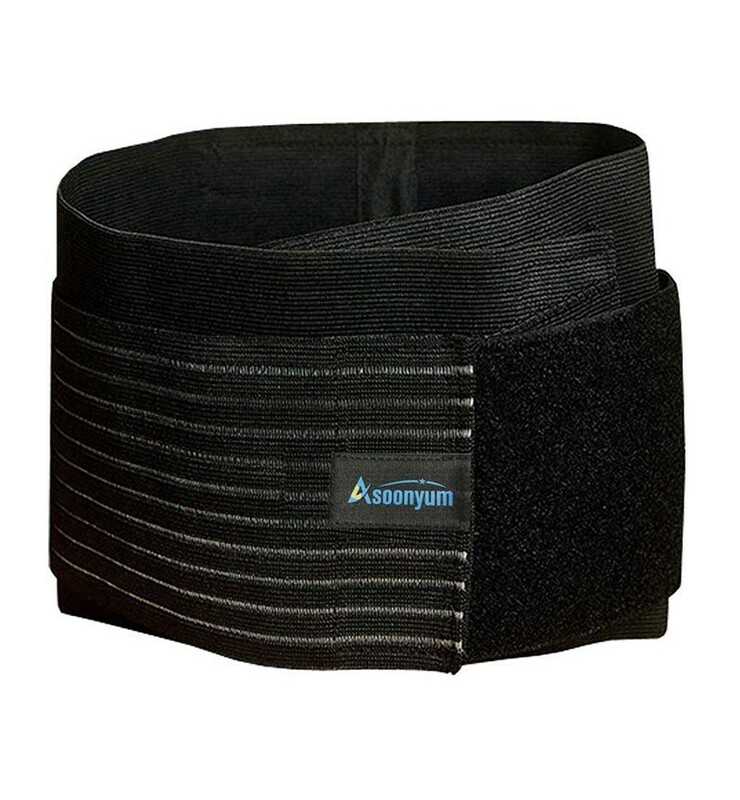 Perfect for pregnancy, pregnant, medical, boys, girls, kid, mens, kids, womens, woman athlete. 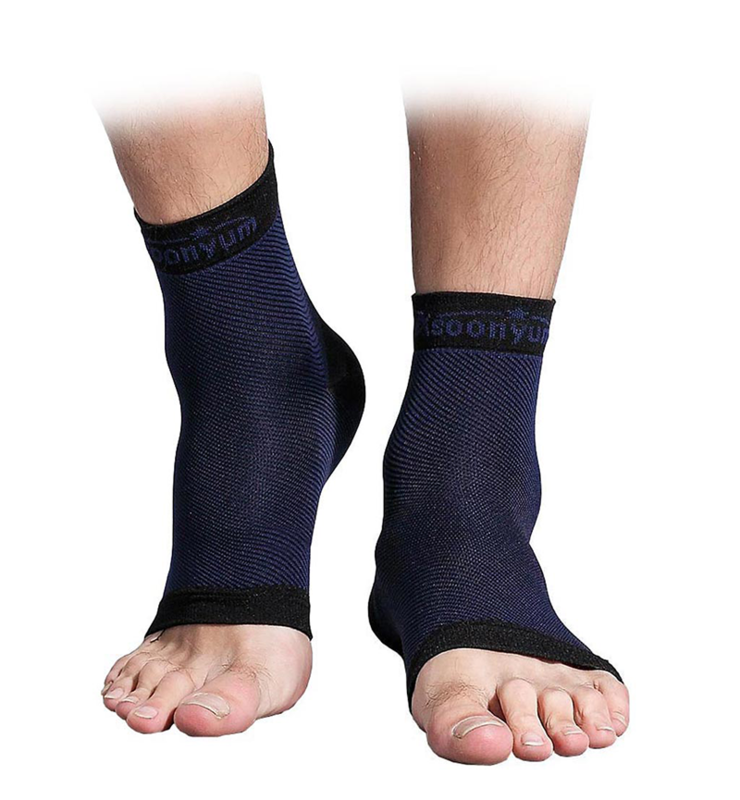 100% MONEY BACK GUARANTEE & WHAT'S IN BOX: 2 footless compression socks + a extra portable bag in the retail box. small s medium mid large for choose. 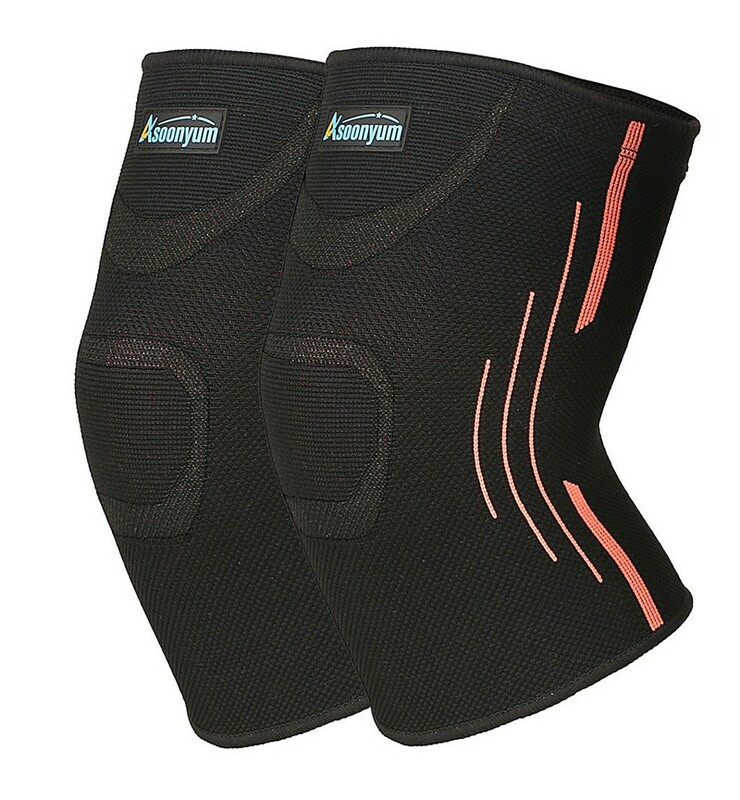 If you are not fully happy with the Asoonyum Knee brace, we are offering a 24-month guarantee.